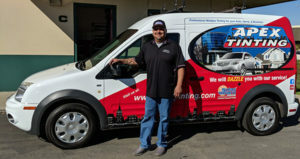 Apex does the highest quality auto glass chip repair available in Arroyo Grande. What sets us apart from the rest? We work with total dedication to ensure our customers’ satisfaction! We won’t let any concern or issue go unresolved. Apex Auto Glass is inexpensive, friendly, fast, and on time – and we will also go onsite to you, for all of your car window or windshield glass chip repair needs! Worried about taking the time to get that chip or crack fixed? Well, you don’t have to! 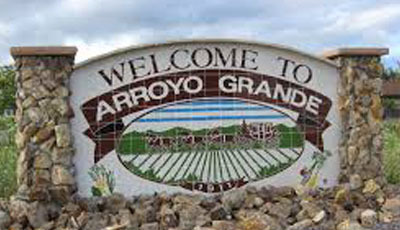 Apex will come to you in Arroyo Grande! We will take care of the problem right there on the spot so you don’t have to miss any work or be inconvenienced by having to set an appointment and come to us. Don’t let small inexpensive chips become larger and more costly by putting it off, we make it easy to get your auto glass chip repaired right away. Can my car glass chip be repaired? You will be happy to know that our professional technicians are able to repair most chips! Is your auto glass chip smaller than the size of a quarter? Is it located anywhere except directly in the line of sight of the driver? If yes, then there should be no trouble repairing it on the spot! If your auto glass chip is larger than that, has a long crack or is in the driver’s line of sight we will need to assess the situation and discuss your options with you. Don’t let lack of time keep you from making the smart decision to have your auto glass chip repaired. Most chips and cracks take only 15 minutes to fix! Small chips and cracks can spread, becoming unsafe and a lot more costly to take care of, so give us a call and let us help you while it is still just a quick 15 minute job! Think you may need your windshield replaced? Contact us today for a free windshield assessment!